I’m surprised you’ve been able to get this to work. I’ve been trying daily for the last month and all I get is: Uh-oh. 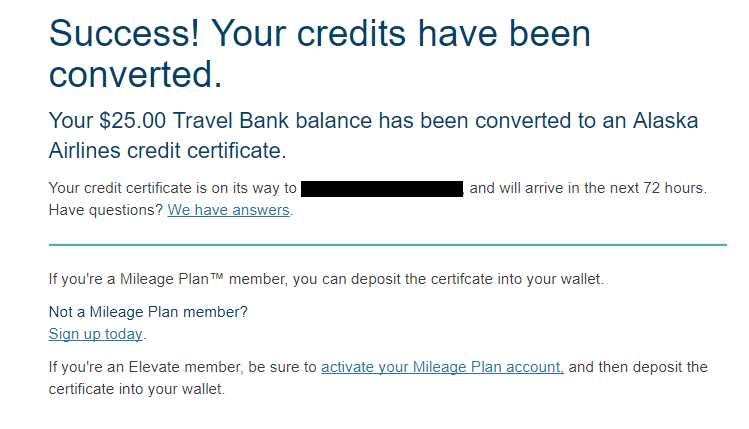 We’re having trouble connecting to Travel Bank right now. Do try again in a few minutes. 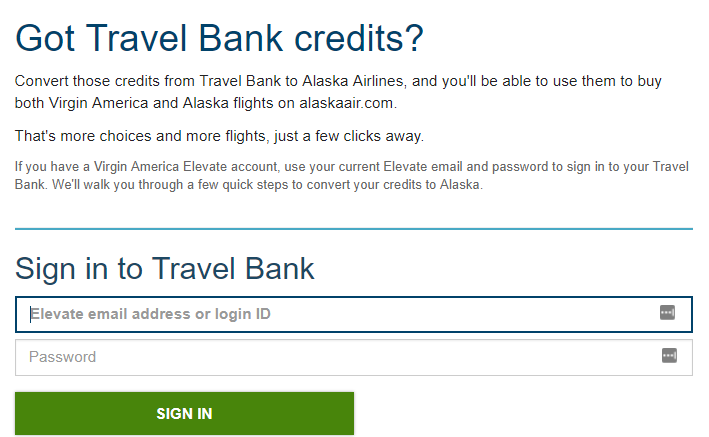 I’ve called Alaska (as the twitter team recommends), but they say they know the connectivity between the Travel Bank and Mileage Plan isn’t working. I get the same message!! It is really irritating. How did you resolve this? 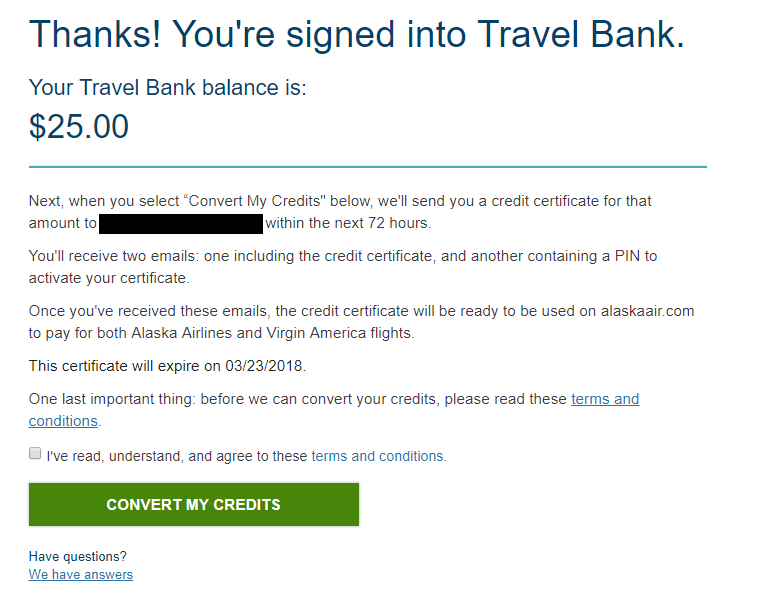 I understand that Alaska is not keen on giving away free travel that Virgin gave out but this is a bummer. 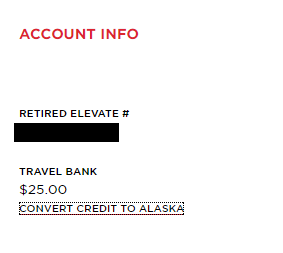 I’m a little confused because Alaska automatically combined Virgin and Mileage Plan accounts some time ago. If you’re still having an issue, I recommend calling 1-800-ALASKAAIR for assistance.